Several scenarios in Southeast China have a beautiful, colorful countryside. Due to the erosion, today’s shape of reddish sandstone rocks has emerged. The sandstone layers on the cliffs and shapes of Danxia landform are well separated from each other. 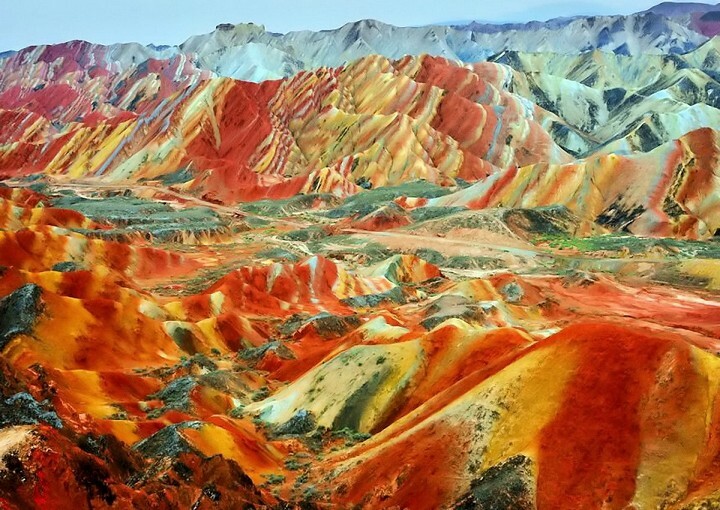 China, and perhaps one of the world’s most colorful and unique natural formations, is Danxia, which was declared as a World Heritage in 2010. The term “danxia” refers to a unique, reddish surface different from each other; Meaning “pink cloud” or “red sunbeam”.